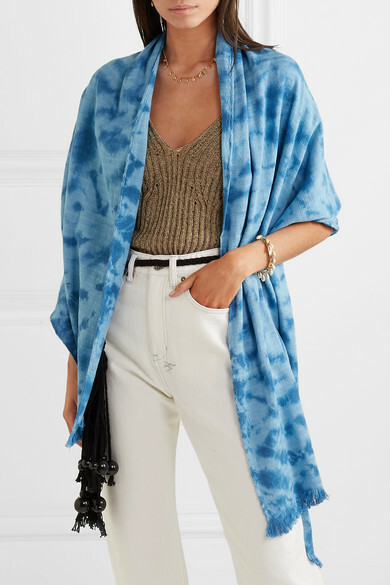 Isabel Marant's 'Alma' scarf is the easiest way to tap into one of the season's most talked-about (and coolest) trends. 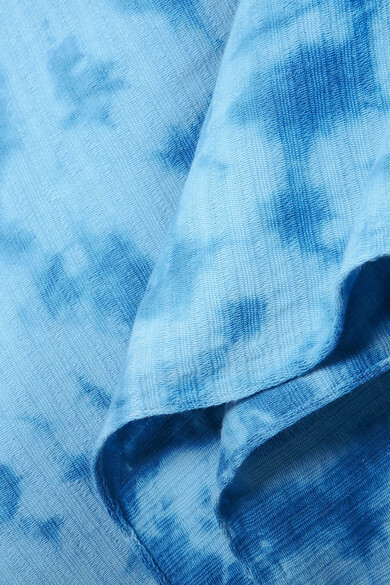 Spun from lightweight cotton, it's tie-dyed in uplifting tonal-blue hues and finished with wispy frayed edges. Wear it draped over your shoulders as a shawl or looped through the handle of your tote. Shown here with: Ksubi Jeans, Mara Hoffman Top, Isabel Marant Belt, Isabel Marant Necklace, Isabel Marant Bracelets.